The love of learning keeps going during the summer months at Bannockburn! Bannockburn offers exciting and fun day programs for children of all ages, running between June 24th – August 2nd 2019. Click on the image below to view our 2019 Summer Camp Brochure! 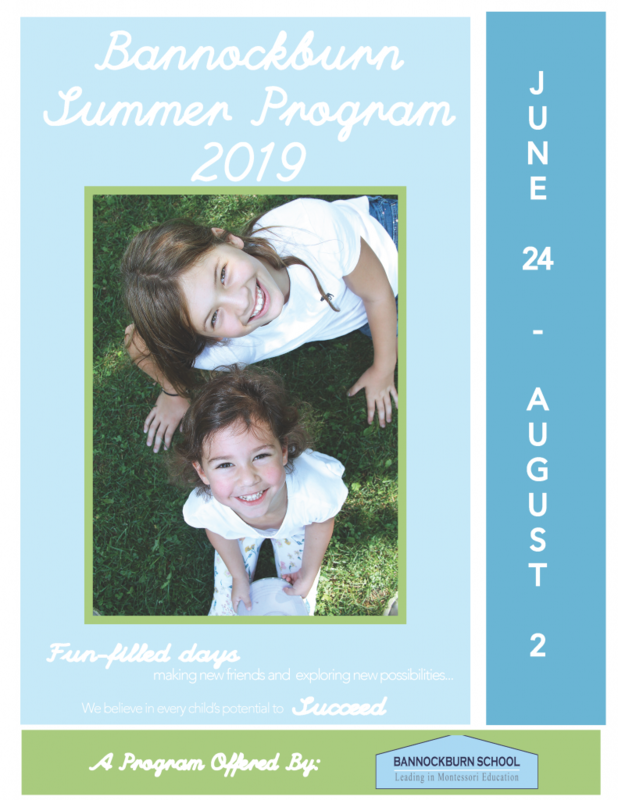 If you think that the Bannockburn Summer Program is what your kids need to have a fun-filled and enriching summer this year, don’t wait! Register now as spaces are limited! Bannockburn Camp will be using our online system, CareMonkey, for all camper registration, collection of medical and emergency contact information and lunch orders. CareMonkey is a secure, online system that is able to house all campers’ information, as well as the only way to register or order hot lunch during camp. Once you submit a registration request through the link below, you will receive an invitation to register an account with CareMonkey. You will be required you to complete your child’s medical and emergency contact information prior to registering for camp. It is imperative that the camp has complete medical and emergency contact information for your child. If you are a Bannockburn student, the camp staff will be using your child’s already established CareMonkey account. When you receive your invitation from CareMonkey, please take the time to fill out all information, paying particular attention to any section marked required. You will be receiving two medical forms that must be filled out and, while some questions may seem repetitive, please fill out all information so we have complete and accurate information for your child. CareMonkey is programmed to send out reminder emails until your child’s medical profile is complete, therefore, you will continue to receive emails until the profile is complete. Please have your child’s profile completed prior to the first day of camp. Please use this link to complete this request form in order to be registered with CareMonkey and receive your invitation to create an account and enroll your child in camp. Bannockburn School also offers a Toddler Summer Program and a 3 Year Old Summer Program only for current Bannockburn students. 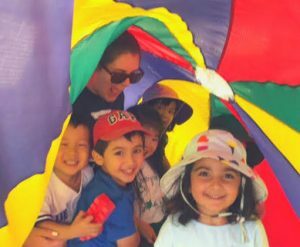 The Summer program is an extension of our Toddler and Primary programs with some exciting additions including classroom time, gym and library experience, art lessons and musical movement activities. The Toddler and 3 Year Old Summer program runs from June 24th-August 2nd. CareMonkey will also be used as our method to register for the Hot Lunch Program. 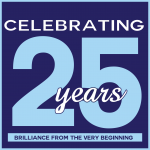 Watch for emails to register for this program through CareMonkey. This “Build-Your-Child’s–Lunch”, provided by Pusateri’s, allows parents to select the exact food their child will happily eat each day! Parents are welcome to select an entire meal by choosing from the Salad, Entrée and Snack section, which they will not need to send any additional food to camp each day. Parents are also welcome to just select an Entrée or Sandwich and send additional daily snacks from home. The objective of this “Build-Your-Child’s–Lunch” is to have all children enjoy eating a healthy lunch eat day! Here is the full Lunch Menu for our Bannockburn Summer Program. In order to participate in the program, parents must first fill out an Initial Registration Form that will be sent from CareMonkey. This form is essential to being part of the lunch program, as Pusateri’s will use this information to charge your credit card for payment for the lunch program. Once this is complete, you will receive the order forms for you to fill out to order lunch. Don’t forget to hit submit when you have done filling out your information. Download the CareMonkey app to your mobile device to make filling out forms and accessing information even easier. If you have any technical difficulties, CareMonkey has an online support system that is extremely helpful. If you have any questions or concerns about the program or registration difficulties, please contact Jacqueline Richman at j.richman@bannockburn.ca. If you have any questions or you would like more detailed information about Bannockburn School, please do not hesitate to contact us.